Music is a vital part of people's lives. Lisa Furukawa Piano Studio is dedicated to providing caring instruction tailored to the individual student's needs and helping piano students of all levels enjoy music and the process of learning. If you are interested in setting up your first FREE lesson and consultation, please fill out the interest form on the Programs and Classes page. Lisa Furukawa Piano Studio provides piano lessons, general music instruction, and Japanese immersion lessons for students of all ages. 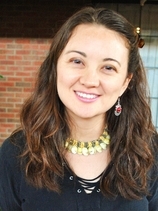 With almost 20 years of experience, Furukawa has a wide range of teaching experience. From beginners both young and old experiencing the first sounds on the piano to intermediate and advanced students who are preparing for college auditions and competitions, each lesson is tailored for the student's goals and needs. Whether the student would like to perform, compose, or develop a hobby, students will be given various opportunities to showcase their music if they would like to. Experienced in performing classical music as well as a wide variety of styles professionally, Furukawa offers instruction in classical, pop, world/folk, electronic, and improvisatory styles of music, while providing lessons in theory, reading, and injury prevention playing techniques. She received her BA in Music (piano) from UNC-Chapel Hill. She is also a member of MTNA (Music Teachers National Association) and the National Piano Guild.